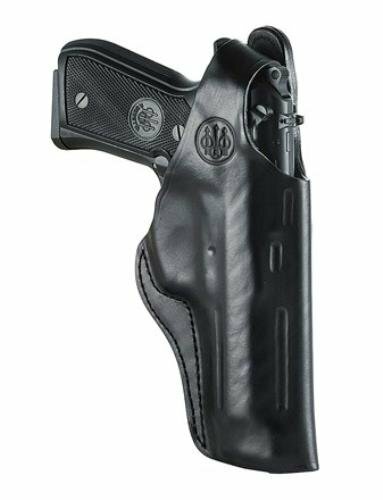 Beretta leather holster E01651 04 - hip holster, right hand - brigadier. Concealed carry holster in premium leather, with a flat rear profile that has a snug fit against the body. Fits brigadier, right hand. Ideal for belt carrying in plain clothes in medium position with two possible inclinations.